Have you been straddling the fence deciding whether or not social media is “a thing” in healthcare? Well, maybe this will tip the balance. 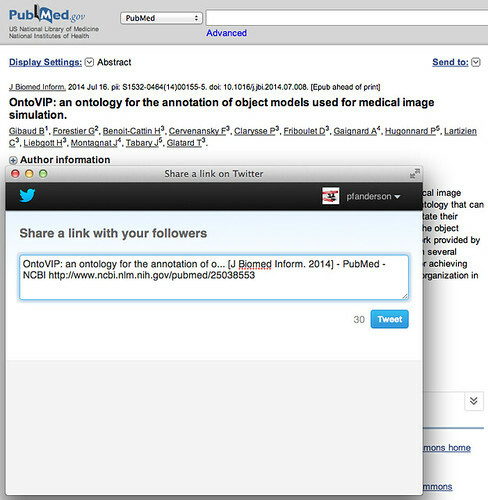 Pubmed now includes social media sharing icons at the article level, as shown in the image above. 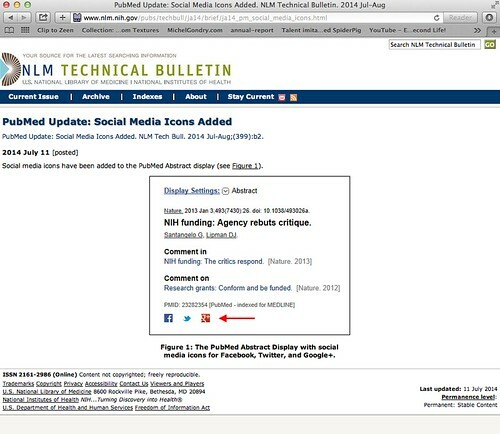 This is in addition to NIH’s own active life on social media. Unfortunately, when I was testing it out, every now and then what it shared was not the link to the article, but a link to the search strategy from which I found the articles. Hopefully, they’ll get that fixed, but usually it was good. Here’s what it looks like when sharing something to Twitter.